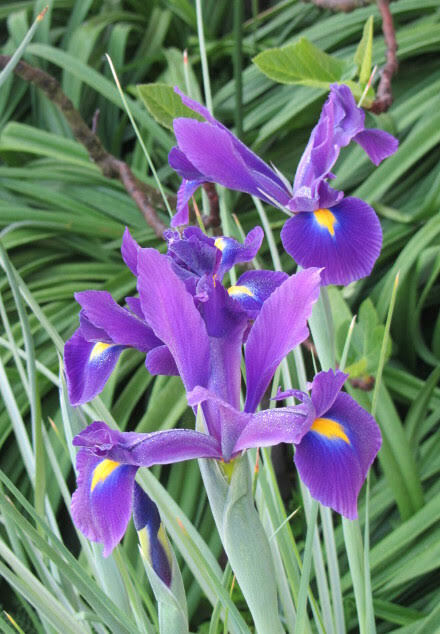 Hello, gardeners and garden admirers. 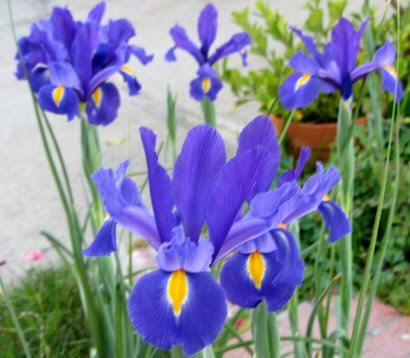 40 miles north has been sending in some great flower photos from California. Nice to come home to after a 40 mile commute. 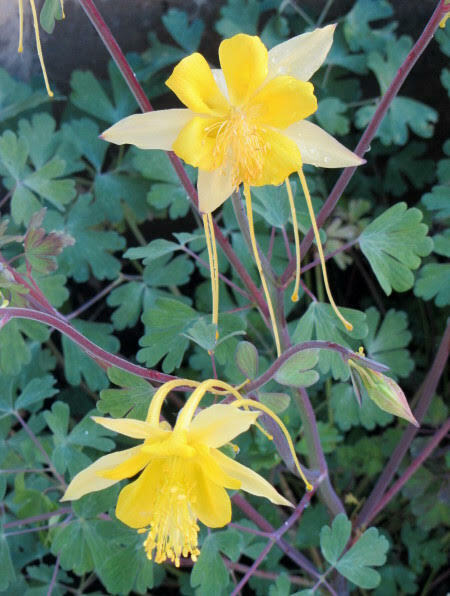 Above, Swallowtail Aquilegias (Columbines). Love them. Waiting for a hummingbird to show up. 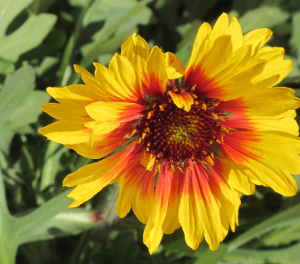 Gaillardia. I generally think "casual" when I see this flower. Bees like them. This plant takes heat. 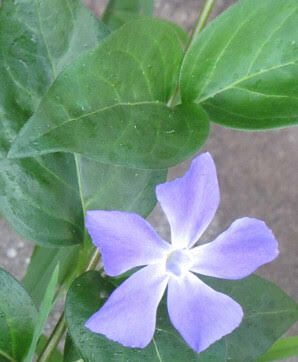 His Vinca major has been blooming for a while. Not a plant you want to introduce near delicate subjects, despite its refined looks. It's invasive. On the other hand, there may be places in your yard where it is appropriate. 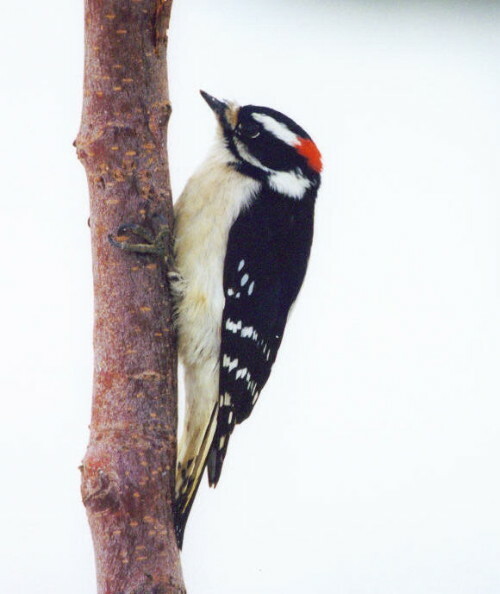 Male Downy Woodpecker. They're about 6 inches in length and sound like a squeaky toy. Females lack the red tuft on the head. Hawk and it's prey. I think this is a Coopers Hawk and it's prey was a quail. 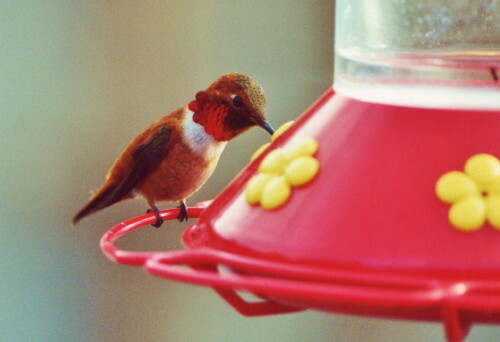 Male Rufous Hummingbird. Very territorial and they sound like a hornet when flying near me. Nice variety of critters in your Mom's yard, Jake! And he also sent in two hummingbird livecam links. One with chicks in nests. The other with eggs. Really worth a look, especially if you are at a computer screen. Two of the garden photos Wee Kreek Farm Girl took were of arches. I took a few pictures of our Lady Banks roses which are in bloom here. They only bloom once a year and now is the time so we enjoy it while we can. I planted these when we first moved in after hearing about the Lady Banks roses at Tombstone that covers 5000 sq ft.
Lady Banks roses come in yellow and white. One is fragrant. I think it's the white one. Anyone know for sure? 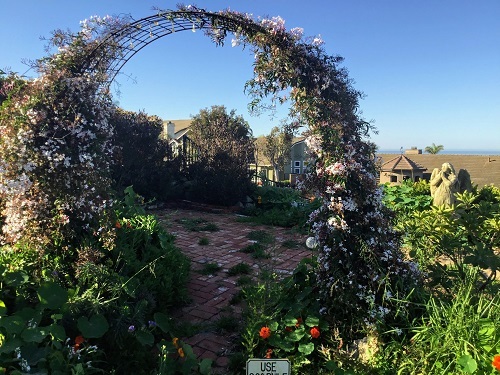 A picture of the other new bed Mr. Wee Kreek and I made to grow things over the new archway we installed based on the concept you had in the thread a few weeks ago. We did some minor alterations mostly because we couldn't figure out how to get a 16 ft cattle panel home in our little truck. I think it came out amazing and can't wait for all the things to climb over it. I planted Madhu melons, Armenian cucumbers, Jibai cucumbers, Green apple cucumbers, Lemon cucumbers, and some peas. Sounds like an adventure getting the cattle panel home. More photos later. Meanwhile, The Invisible Hand sent in the following. What we've named Ann's Arbor after our families 85 old Matriarch. Pink Jasmine that, when wind is right, I can smell the lovely scent of from in our home. Some of our many azaleas at their peak. We live on what the GA DNR calls a "deer super highway" here on the coast, so our yard is limited to whatever the deer won't eat...which isn't much. 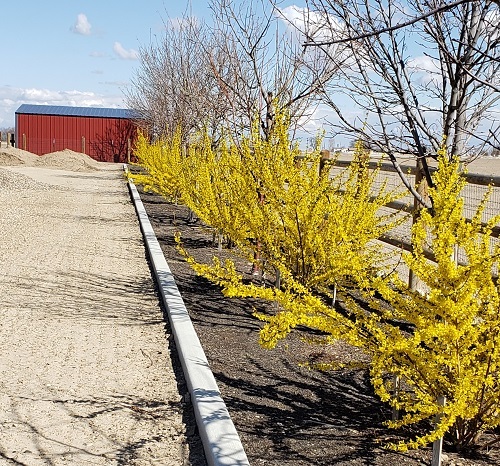 And here are some Forsythia blooms in S, Lynne's garden in Southwest Idaho. We have more photos waiting to be posted, but we will still take yours. It's spring!